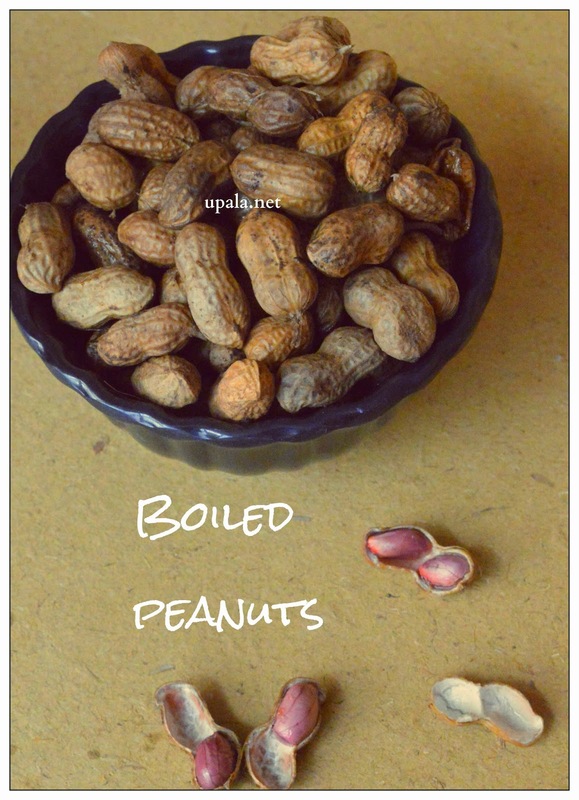 Boiled peanuts/Avicha kadalai/Vegavecha kadalai is healthy street snack that tastes so yummy. 1) Wash and clean the peanuts/Kadalai. 2) Add enough water and Salt to peanuts in a kadai/Pan. 3) Add a ladle and leave it to boil by closing a lid. 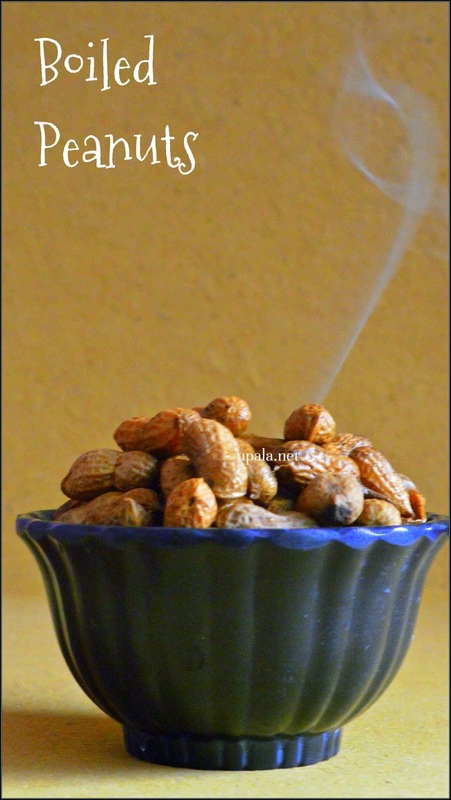 4) After an hour, remove some peanuts in the ladle and check whether they are cooked. If they are not cooked, leave them to boil for few more minutes. 5) Once cooked, switch off the flame and drain the water. Hot hot steaming Boiled peanuts are ready to be enjoyed during rainy season.